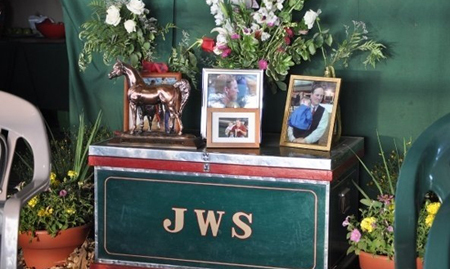 Lisa Jo White met her husband John at the National Show Horse Finals in Louisville. 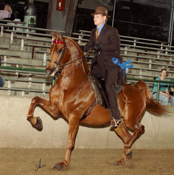 “I was there coaching an equitation rider,” Lisa Jo recalls. 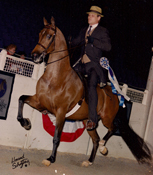 She and John were soon building a thriving Arabian and National Show Horse operation, John White Stables, which they would operate together for the next twenty years. 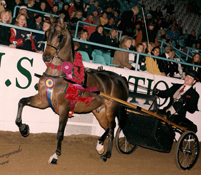 Lisa and John quickly established national prominence in the Arabian world; and, with their many brilliant successes in the show ring, became one of the most successful partner-couples in the business. 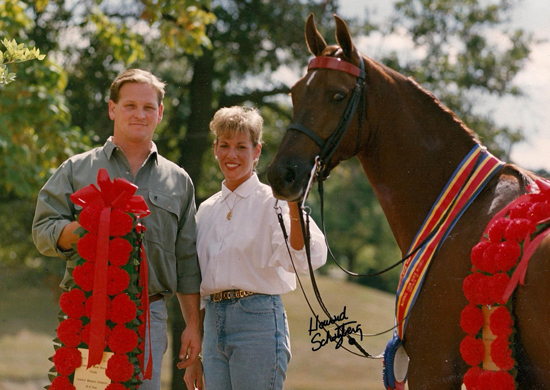 Throughout the years, John and Lisa turned in class after class where their English horses were the standouts. Who can forget such stars as CF All Nite Long, Bette G, SA The Gambler, SG Bodacious, Touch of Magic, MHR Marteen, CF Huck’s All Star, and DWD Showboat. John and Lisa married in 2000 and had two sons, Zachary, now 9, and Rex, 5. Sadly, in 2008, John was diagnosed with non-Hodgkin’s lymphoma. In March, 2009, at the age of 46, he passed away, a victim of the cruel disease that was diagnosed six months earlier.